Bitter Orange - (pettigrain, neroli) C. Aurantium Bitter orange started to appear as a common ingredient in many weight-loss supplements in the last few years. Bitter orange peel extracts contain synephrine and octopamine, chemicals that are effective metabolism boosters. Overuse of bitter orange extract is subject to serious health concerns. High dosages of bitter orange may place too much stress on the heart and cause jitters. Always be very wary of amounts listed on herbal supplements. A better, and safer use of bitter orange is to use the dried peel in herbal teas where you can get the benefits of the whole herb. The essential oil expressed from the peel of the almost ripe fruit of the bitter orange tree. Bitter Orange Side Effects: Bitter orange or synephrine, found in bitter orange, has been associated with adverse cardiovascular reactions. Bitter orange fruit is earth-shaped, a little rougher than the common, sweet orange, and the flowers are more strongly scented. 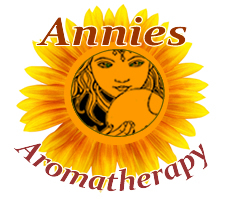 The flowers of the bitter orange yield the essential oil, Neroli, and the peel yields a volatile Oil of Birgarade. 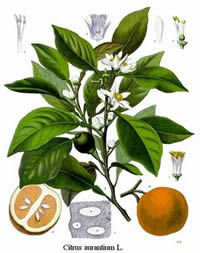 The bitter orange tree is extensively cultivated in France for the sole purpose of the Neroli oil. Zhi shi is the immature dried fruit of citrus aurantium, also known as bitter orange.